Watch out for awesome deals on Realme phones at Lazada soon! The new smartphone brand Realme is finally launching in the Philippines later this week! Can’t wait to get your hands on the latest Realme devices? The good news is that Realme devices will be available at launch not only in retail stores, but also on Lazada. 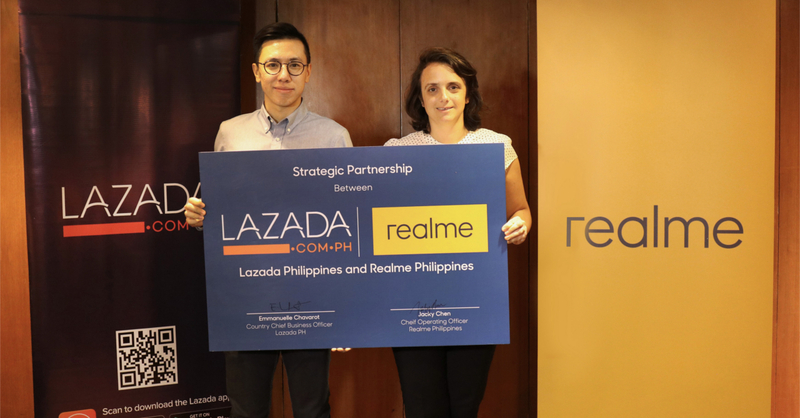 Realme recently announced its partnership with the online retail shopping giant Lazada, meaning Realme smartphones will be made available on the said platform. With its competitively-priced range of smartphones, Realme hopes to continue boosting the Filipinos’ confidence in online shopping channels. “We see the requirements of the emerging young generation and the opportunities these entail. We started in India six months ago, but SEA is one of the most-important overseas markets for Realme. We are now present in Indonesia, Thailand, Vietnam, Malaysia and in the next few days, the Philippines. We are very glad that we can now cater to a very vigorous market – the Filipino youth – who contributes tremendously to the growing trust of Filipinos in online shopping platforms. We are making sure that our products are available to this market and offer them at remarkably affordable prices,” shares Realme Philippines Chief Operating Officer Jacky Chen. The news about Realme and Lazada’s partnership in the Philippine market follows the smartphone company’s success during the recently concluded 11.11 sale, wherein Realme became the hottest-selling phone brand in Southeast Asia for the sale. This was surprising news, especially as Realme wasn’t available at all SEA countries at the time of the 11.11 Sale. Next articleNeon Genesis Evangelion is coming to Netflix soon!